The precision, originality, and playfulness of Robert Gibbs’ poems have captivated readers for over half a century. Mixing the cerebral and the heartfelt, Gibbs’ poems investigate and celebrate family, history, and nature with decisive imagery, idiomatic immediacy, punning wordplay, and breadth of imagination. An ideal introduction to Gibbs’ poetic world, The Essential Robert Gibbs collects some of the finest, most thought-provoking works from throughout his career. Sometimes compared to Gerard Manley Hopkins and Margaret Avison, he has been called a ‘gourmet of the minimal’ who ‘devotes himself to asserting the value of the ordinary’ (M. Travis Lane) and his work demonstrates both a sophisticated grasp of the human mind and a warm familiarity of voice. Gibbs’ poems mix sensuous dreamscapes and grounded realities. In his poems landscapes are evoked in all their ripeness, a father’s quiet nobility is celebrated, writer’s block becomes a force of nature, and a mind can become a home. Who Asked Me To Be A Reader of Entrails? Robert Gibbs’ paternal great-grandfather was a Gibb from Kenneway, Scotland, who served in the navy and later settled in the Midlands of England; after the move, ‘‘s’’ was added to the family name. The poet Gibbs’ maternal ancestry (Towers, MacQuarries and Hoars) stemmed from Scottish and Irish roots. When she was a young woman his mother, Bessie Tower, from Turtle Creek, Albert County, New Brunswick, spent two years in Saskatchewan. There she worked as a cook for a threshing crew and turned down a marriage proposal, then returned to the Maritimes in 1925. She soon regretted the move and hoped to return to Moose Jaw, but then she met Robson Gibbs, an engraver and jeweller, and married him in 1926. Her third son, Robert John Gibbs, was born in Saint John on February 3, 1930. The many-faceted Protestantism of Gibbs’ family had an impact on his imagination in both poetry and fiction. His father was raised Anglican, and his mother Baptist. The great aunts and uncles among the MacQuarries (his mother’s maternal line) included Bliss, a grocer at whose house Robson Gibbs boarded when he met Bessie, and a Reformed Baptist who later became a Pentecostal minister. Aunt Flo was a Seventh Day Adventist, Uncle Charlie a Wesleyan, Aunt Sadie United Church, Uncle John a Christian Scientist on PEI, and Uncle Cliff -- a potato farmer in Carleton county -- a Jehovah’s Witness. Even though Gibbs’ mother would tell him that he inherited his ‘‘gift of gab’’ from the MacQuarries’ maternal line, the Hoars, actually it was the spirited religious loyalties of the MacQuarries themselves that inspired some of the drama, comedy and colour in his two books of short fiction, I’ve Always Felt Sorry for Decimals andAngels Watch Do Keep, books revolving around Hutchie and Pompman Killam, the orphaned children of missionaries. In 1963 Gibbs began his many years of service teaching at the University of New Brunswick. 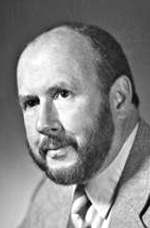 In his spare time he began working on a Doctorate, which he completed in 1970 with the dissertation ‘‘A Study of Irony in the Poems of E. J. Pratt.’’ He held various administrative positions in the Department of English, including Director of Creative Writing and of Graduate Studies, and worked in several editorial capacities -- as well as occasional book-reviewer -- forThe Fiddlehead from 1968 until after his retirement in 1989. Eighteen years after the first publication of his poetry in literary journals, Gibbs’s first chapbook, The Road From Here, was released in 1968 as the first of the New Brunswick Chapbooks series, followed two years later by his first full-length collection, Earth Charms Heard So Early, published by Fiddlehead Poetry Books who also published Gibbs’s subsequent collections during the 1970s, A Kind of Wakefulness and All This Night Long. The community workshop ‘‘McCord Hall’’ or ‘‘The Icehouse Gang’’ on the UNB campus provided the first audience for many of his poems during that 1970s and ’80s, and Gibbs offered insightful criticism and generous support for many other writers there; it was also at McCord Hall that he began reading aloud his Hutchie and Pompman stories. When he was fifty-five years old, Goose Lane Editions -- which had evolved from Fiddlehead Poetry Books and would eventually become a far more ambitious and versatile press -- published a new and selected poems by Gibbs. Oberon Press of Ottawa published his books of short stories, as well as his two novels A Mouthorgan for Angels and Kindly Light and two volumes he edited of Alden Nowlan’s newspaper columns for The Telegraph-Journal. As Nowlan’s literary executor, Gibbs also edited a volume of the poet’s new and selected poems for Irwin Publishing. Though Nowlan is nationally and internationally better-known than Gibbs, diligent readers will want to compare the similarities between these two Maritime poets as well as their considerable differences. Gibbs’ poetry possesses both the intensity and the originality required to inspire and influence Canadian poets and those of other countries now in the twenty-first century. the dark smell of death upstairs. bluebodied turkey in the fridge downstairs. unruffled or his rough purr unpurred. from the thick strings of his cello. of a secondhand wedding ring. The word ‘grace’ may suggest swans, gazelles, or wild cats, but look at what Robert Gibbs does with it: ‘My poems should have the grace / to hop off the page / like the frog in the Scotchman’s porridge’. Here a key word that recurs in Gibbs’ poetry, ‘grace’, gets combined with the metaphorical wit characteristic of him. You would be a sleepy reader to explore his lines for very long and not discover their playfulness. Gibbs is drawn to kennings (‘puddingstone’, ‘shadowgraphs’, ‘springsongs’), puns and homonyms (‘unread herring’, ‘prince of whales’, ‘damned river dammers’), and other sorts of doublings and echoes (‘unhollowed / hallowed’, ‘my dotage my / anecdotage’, ‘amphoric euphoria’). ‘A Post-Christmas Carol’ delivers somber images of war, hunger, and cold, yet the poem’s language is complicated and leavened with a description of camels as ‘snooty’ and a reference to ‘Guernica’s broken critters’ (Picasso’s figures are horrific in fragmentation, yet ‘critters’ is tonally different from ‘beasts’ or ‘creatures’). In his eight books of poetry Gibbs is never lugubrious, and he plumbs depths of insight and imagination with an attractive mix of the casual and the polished, the idiomatic and the freshly turned. The verbal dexterity of his poems is characterized by the title of his new and selected poems of 1985, The Tongue Still Dances. The uniqueness of this poetry arises from many elements apart from verbal sportiveness. Gibbs’ book titles The Road from Here and Driving to Our Edge touch on the theme of travel. Poems not included in this selection, such as the long, multi-part train-trip ‘Six-stage Crossing’, ‘The Pines of Route 7’, and one of his finest expansive poetic achievements, ‘The Perpetuation of Worlds Knowledge Has Disproven’, embark on journeys through space ... journeys through perception and understanding. A strong attachment to earthly imagery is echoed by Gibbs’ titlesEarth Charms Heard So Early and Earth Aches (titles which fit with a pattern in Atlantic Canadian literature that includes Charles G. D. Roberts’ Earth’s Enigmas, Alden Nowlan’s A Darkness in the Earth, M. Travis Lane’s Touch Earth, and Don Domanski’s Earthly Pages). Overlappings between day and night, the unconscious and the conscious, are suggested by the titles A Dog in a Dream, All This Night Long, and A Kind of Wakefulness. For hints of a religious sensibility -- a sense of the good and the sacred that underlies his writing -- we can turn to the titles of his fiction -- A Mouthorgan for Angels, Angels Watch Do Keep, and Kindly Light, but that sensibility is equally prevalent in the poetry as well. Even here the abstractness of escapes from thought into ‘lawless’ expressions is immediately followed by the word-play of ‘seems seamed’, imagery of brides measuring veils ‘like daisies sighted in tall timothy’, and the specific time-frame of St. Lucie’s Day. Gibbs’s writing about grace, love, and freedom brings us closer to the quotidian, the seasonal, and the bodily rather than push us away from them. Gibbs’ poems are often immersed in New Brunswick landscapes or reflect his years in his beloved native city of Saint John -- citing places like Smuggler’s Cove, Indiantown, Partridge Island, and Beulah Campground -- and his adopted city of Fredericton. The author of several books of fiction peopled with vivid personalities from Saint John in the 1940s, Gibbs also colours his poetry with affectionate portraits of people such as his father (an engraver with ‘eyeglass wrenched into play’), Aunt May of a ‘tight-lipped tribe’ and ‘suppressed laughter’, Paddy McGaughey dancing a Donegal jig (in a poem I imagine illustrated by young Jack Yeats), and Littlejohn Tow, a Lincolnshire immigrant to New Brunswick. Gibbs’ poetry honours other arts, in its attention to painting or carving, and to music -- typically not symphonies or grand pianos, but ukeleles, a fiddle playing ‘reels and polkas and old Baptist hymns’, his father’s cello, or ‘Wenceslas’s treble-voiced page’. The bedrock of writers who have influenced Gibbs includes Mother Goose, Lewis Carroll, Dickens, Hopkins, and religious texts, in particular the diction and cadences of the Bible, though Gibbs’ canon also welcomes Chinese koans and Japanese Noh theatre. In a poem that includes the words ‘grace’, ‘saints’, and ‘mercy’, a refusal to ‘cut out / a single blade of grass / or feather fallen from one bird’ evokes ‘He sees the sparrow fall’ from the New Testament; and in a section from ‘Verse Journal’, one of Gibbs’ experiments in daily writing, ‘breasts like twin milkfed / fawns and lids over eyes / like twin clouds’ echoes the Song of Solomon. Gibbs’ allusions to other poets encompass echoes of Eliot’s Four Quartets near the end of ‘The Road from Here,’ his ‘Homage to Neruda,’ two poems for Ralph Gustafson, and his adoption as titles for his poems quotations from William Carlos Williams (‘to imitate nature involves the verb’), Roberts (‘Not in the flower but effort toward the flower’), and Wallace Stevens (‘His soil is man’s intelligence’). While Gibbs is a poet of earthy physicality -- of crickets and grasshoppers, doves and finches, burdocks and beggarticks -- he’s also a poet of dreams and fantasies, of ‘chimerical dancers’, ‘some astral anti-bear’, and a ‘raven wind’ that declares ‘I am that bird that eats up / death itself’. In one of his poems, a kitchen clock escapes into the night; in another, a poem of visionary ecological devastation and hope (phrases from the Book of Revelation not far removed), the poet sees ‘the ends of the world’ yet also hears a voice shout ‘Tierra tierra’ (again, this time in Spanish, Earth). Two of his longer, most fascinating, narrative-driven poems not included here, ‘Events Underground’ and ‘My First Second Coming,’ establish fantasies or dreamscapes in which the laws of waking consciousness are suspended, but also where the dreamer’s fears and perplexities are connected to fears and perplexities in the waking world. Robert Gibbs’ poems first appeared in print in 1950, but he worked at his craft, studied and taught poetry, and developed his amalgam of styles over many years before publishing his first chapbook in 1968 and his first full-length collection two years later. The full range of Gibbs’ development requires attention to his poetry of the 1950s, the majority of it published in The Fiddlehead (I’ve located twenty-nine of his poems published in that journal between 1950 and 1960, and another ten in the period 1960--’66; none of these poems appeared in either his first chapbook or first long collection, though some were reprinted in Five New Brunswick Poets, a 1962 anthology in which he shared space with Elizabeth Brewster, Fred Cogswell, Alden Nowlan, and Kay Smith). This present, short volume of poems selected over half a century after Gibbs began publishing is not the place for an exploration of how his poems changed from 1950 to the most intense period of his poetry-publishing (1968--78); for now I’ll merely note that his early poems tend to be more conventional in their versification and ‘literary’ in their language, and less personal, humorous, and flexible with lines and stanzaic patterns, than the work of his middle and later years. Selecting poems for this book was difficult at times due to the wealth of possible choices, and I found it painful to leave out poems that have dazzled, delighted, and moved me. Gibbs’ strongest poems are among the most distinctive of the past half a century in Canadian poetry. The bountiful body of his sharp-eyed, muscular, humane poetry needs a much wider readership on its journeys ‘skipping round the biosphere’. Robert Gibbs was born in Saint John, New Brunswick in 1930. He joined the Bliss Carman Society at the University of New Brunswick in the late 1940s where he was mentored by Don Gammon, Elizabeth Brewster, Fred Cogswell, and Alfred Bailey, the founder of The Fiddlehead magazine. Gibbs’s poetry started to appear in this publication in 1949. In his more than twenty-five years of teaching at UNB, Gibbs taught general undergraduate and Canadian literature courses and was the director of UNB’s creative writing graduate program. He served as both editor and poetry editor of The Fiddlehead. Upon his retirement from UNB in 1989, he was named Professor Emeritus. Gibbs was the keynote speaker at the first Alden Nowlan Literary Festival, and the Festival two years later paid tribute to Gibbs. His body of work was further recognized in 1998 with New Brunswick’s Alden Nowlan Award for Excellence in English-Language Literary Arts. He has been involved with the Maritime Writers’ Workshop since its inception and continues to live and write in Fredericton.